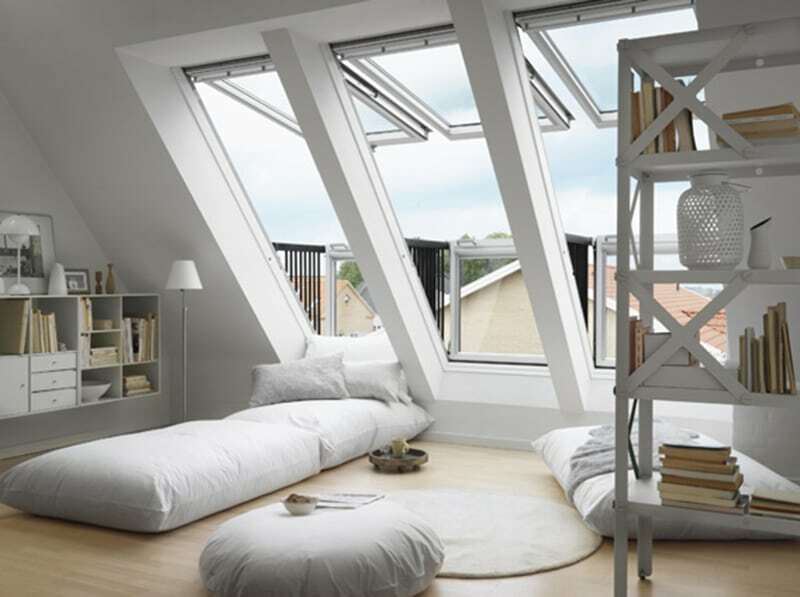 Skylight windows are just what your home needs. 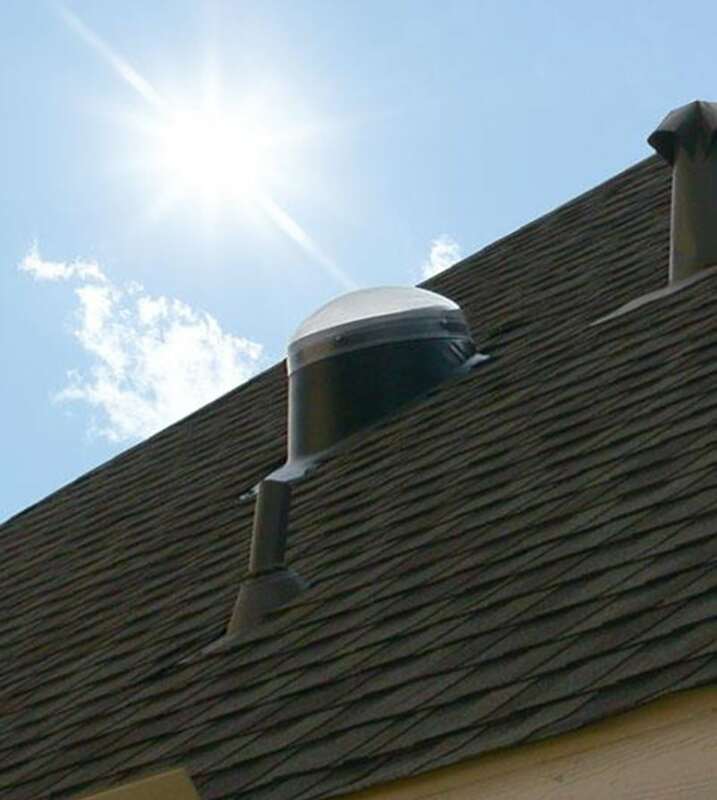 They are installed in your roof and allow for more light to enter your living room, bedroom, or other room in your home from above. They are also the perfect way to gaze at the moon and the stars without having to leave the comfort of your home. Some skylight windows even open by hand or a remote, allowing you to bring in fresh air and ventilate your home on pleasant spring, summer, or fall days. In many areas of the home, such as in the bathrooms and hallways, daylight only enters when you open the door. Dim and dark, these rooms are unwelcoming places until you turn on the light. 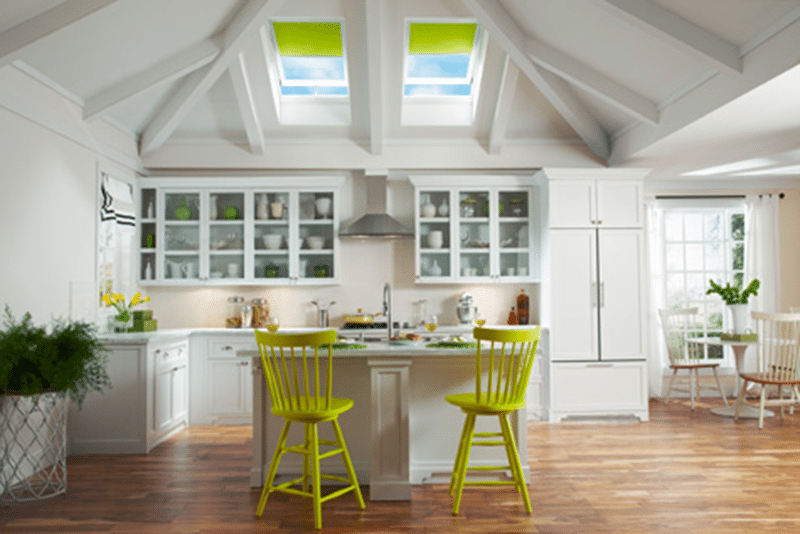 With Velux sun tunnel skylights, dark rooms can be a thing of the past. Sun tunnels bring natural light into even the darkest and most isolated spaces through a specially designed tunnel that passes from roof to ceiling. The attractive ceiling diffuser blends unnoticed into the ceiling, spreading a soft and restful light throughout the room. Flexible Sun Tunnels – These tunnels are encouraged when an installation around obstacles within a loft space is required, as they easily bend around attic obstructions. They are also the easiest product to install because of the maneuverability of the material, making a quick installation experience. This sun tunnel will also help to diffuse sunlight in short runs, making them ideal for shorter tunnel runs. 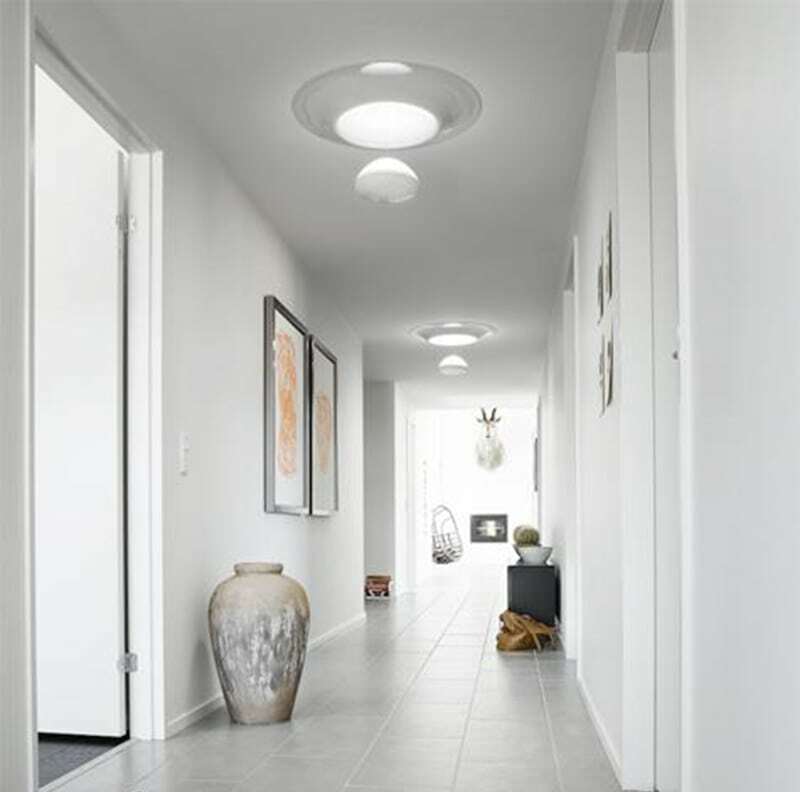 Rigid Sun Tunnels – Rigid tunnels are recommended in areas of the home where there is a straight, unobstructed path from the roof to the ceiling, although they can be altered slightly. They feature a Flexi Loc™ tunnel system for easy and speedy tunnel assembly. These tunnels also offer brighter white light and are excellent for long tunnel runs. "We have used Lindus for several projects in two of our homes. Over the past few years they have installed insulation, LeafGuard®, windows, and a sun tunnel. We also used them to build a beautiful deck on our new home. In every project, they have been extremely professional and install high quality products. I am always impressed at their attention to detail and that they leave the job site so clean. We will most definitely use them in the future and often recommend them to friends and family. - Diana L.
"Being the daughter of a retired carpenter, I know my way around remodels and other projects, so I know when people know what they are/aren't doing. Although Lindus was a bit higher, I just couldn't ignore how much more knowledgeable and professional they were. They even have designated crews depending on the type of work being done. That way you really get an expert! My project was done in a shorter time frame than was expected and they cleaned up after any mess that was made, which was fairly minimal! It has been raining and even snowed and no leaks! I highly recommend Lindus!" - Beth B. "The estimator was very knowledgeable and pointed out several things to consider, such as replacing existing skylights (which were old). Everyone from Lindus that we spoke with was polite and thoughtful and answered every question we had. I highly recommend them." - June S.
"The guy that came out was very skilled and professional." - Steve C.